Many successful runs were staged in the Detroit Red Wings soon to be shuttered Joe Louis Arena known lovingly as “The Joe”. Sadly the last year in their iconic arena was also a year the team said goodbye to their historic run of 25 straight playoff appearances and their beloved owner Mike Ilitch. He was known as much for his love of hockey (and baseball as the owner of the Detroit Tigers) as he was for the love of the city of Detroit. For the legacy of success that Ilitch left behind, it seemed only fitting for all these chapters to close at one time turning the page on whatever the legacy of this next era will become. The players that remain are left with the task of ushering in the next chapters as the old guard of Henrik Zetterberg and Niklas Kronwall have already begun to pass the torch to young guns like Dylan Larkin and Andreas Athanasiou. Starting as one of the Original Six in 1932, the Wings have had a rich history that has too many headlines and stories to write in one single article, and could probably be written into a novel or an extremely long feature that frankly will take many years to tell. Jumping from division to division, coach to coach, and playoff run to playoff run, the Red Wings are ending a lot of this great history starting at the end of the NHL Regular Season. 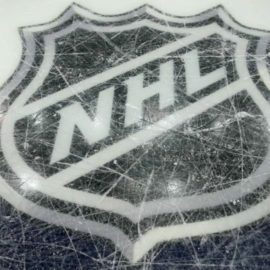 There are 83 seasons of history in Detroit, with 11 Stanley Cups – the most held by any NHL team in the United States (Toronto and Montreal have more). The 2017-2018 season will mark a new Detroit Red Wings era playing out of Little Caesars Arena. An era that Red Wings fans can only hope enjoys the glory that Joe Louis Arena once housed. Ben Grieco is a High School Senior looking to get his name out there. He is attending SUNY Oswego next year to major in journalism. He loves to write about hockey, and is a die-hard fan of the Syracuse Crunch and Tampa Bay Lightning. This love for hockey makes him want to play it someday, but he can't skate.